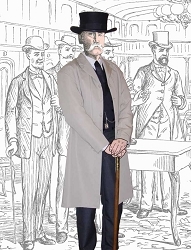 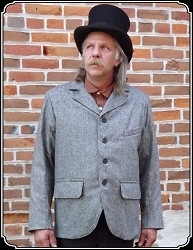 Authentic Men's Victorian Coats have long been associated with River Junction you will see our Frock Coats, Suit Coats and Sack Coats at historic sites and reenactments across the country as well as in many of the major Old West television programs and western movies produced in the last 30 years. 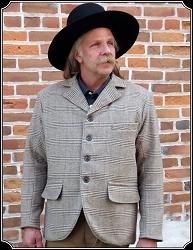 Our historically accurate styles and old fashion fabric selections are second to none. 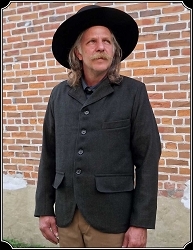 Single breasted Old West coat ~ Fully lined, nicely tailored and comes in a variety of fabric colors and patterns. 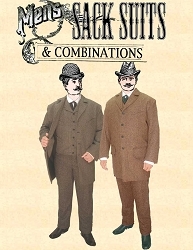 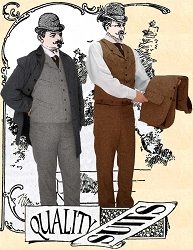 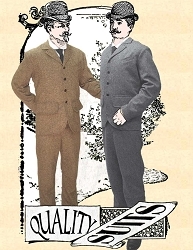 The traditional and original sack coat, taken from a period example - various fabrics, solids & patterns. 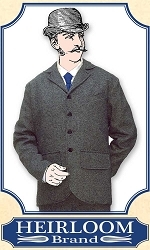 A straight-cut fully-lined coat nicely tailored for the man with style - various fabrics, solids & patterns. 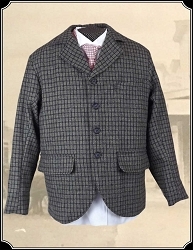 A straight-cut coat with little frills ~ fully-lined, nicely-tailored and comes in a variety of fabric colors and patterns. 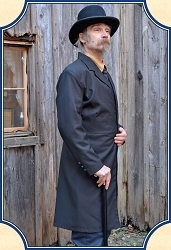 Dress to the nines with this most faithful copy of the original frock coat. 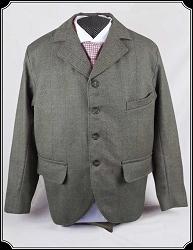 Done in a Brown Wool Blend this is as true to the real thing as you are going to get. 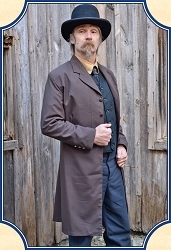 Capture the spirit of the Old West in this Frock. 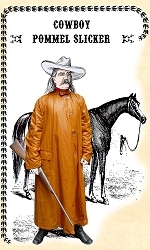 This slicker is sometimes referred to as a fish skin and protected a Cowboy's saddle & leather goods. 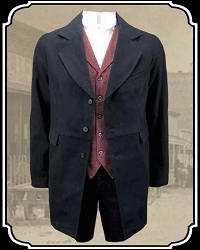 from getting rain-soaked..